Doha, 10 September 2018: Eng. Saad Rashed Al Muhannadi, CEO of Qatar Fuel (WOQOD) said that, the company has recently floated tenders for the construction of (4) fuel stations on the Orbital Highway and the new truck road connecting Mesaieed, Hamad Port, Dukhan, Lusail and Al- Khor after coordination with the Urban Planning Department of the Ministry of Municipality & Environment, the Public Works Authority (Ashghal) and the Ministry of Transport and Communications in the selection of sites for those stations. The sites have been allocated large areas up to 20,000 M2 for the service of cars and trucks, and also an extra area of 20,000 M2 has been allocated adjacent to the petrol station to be used for parking and rest area, taking into consideration in the design of the stations, the separation of entrances and exits as well as internal movement between cars and trucks for ease of traffic and to ensure smooth and easy provision of the required services at the stations. The design also has taken into account all the security and safety standards in accordance with the requirements, specifications and standards in force in the State of Qatar. Eng. Al-Muhannadi added that the company has opened and operated 8 stations during the past months of this year 2018. The construction work is underway for another 26 permanent and mobile stations, most of which will be opened by the end of this year 2018. 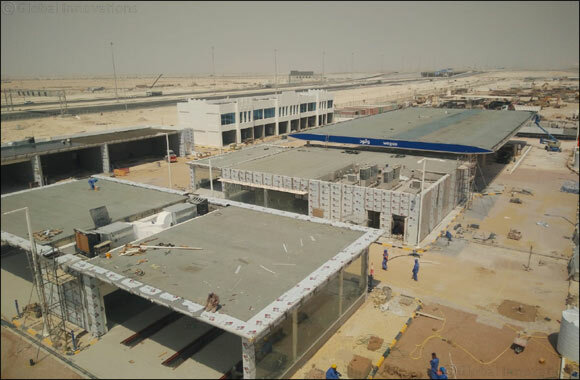 The stations at the following areas are on the verge of completion; namely (Fareej Kulaip, Old Slata, Lusail City- Fox Hill, Hamad International Airport, Rawdat Al-Hamama, Kharaitiyat, Al Gharrafa (Zaghawa), Wholesale Market, Mesaimeer South, Al-Wakra, Al-Thumama, Al-Froosh, Al-Aziziyah, Umm Ebairiya, Wadi Aba Saleel, Al Messila, West Bay and Onaiza-3). WOQOD is ensuring the increase of dispensers in new stations. Hence, the number of fuel dispensers is expected to be increased by 50% by the end of 2018, in comparison with the year 2017. WOQOD is targeting the achievement of a total number of (120) fuel stations by the end of 2020. Engr. Al-Muhannadi has concluded his statement by emphasizing that WOQOD will not miss any opportunity for construction of fuel stations on any land allocated inside and outside the city of Doha, to meet the needs of the State of Qatar, regardless of the cost. WOQOD is grateful to all parties for their contribution to completing the Fuel and Service Station projects as soon as possible.